Do you know a person who is always blaming others for what happens in their lives? Or perhaps you have a colleague who seems to never stop talking. These are examples of energy vampires in relationships and they can quickly leave you feeling drained and exhausted. While relationships with energy vampires are the main culprit for exhaustion, the energy depletion can also lurk in a bad job, social media, busy schedules, clutter, and a poor diet. Achieving inner peace can be difficult when faced with draining relationships, stress, fear, and anxiety. 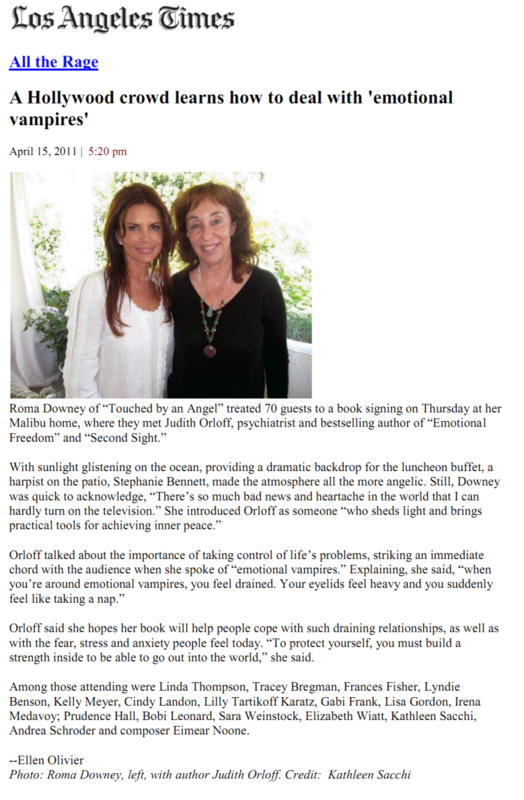 In this article by the Los Angeles Times, I share the importance of building your inner strength to take control of life’s problems and gain emotional freedom. Read the full article on Los Angeles Times here.